Publishing (posting) the text of the Agreement (hereinafter referred to as the Agreement) on the Website of the www.iPICASSO.co.uk online store is a proposal (Offer) to sign the following Agreement in accordance with terms and conditions stated in it. The terms and conditions specified in the Agreement are not subject to modification by the Buyer. The Buyer undertakes, before accepting the Agreement, to become familiar with the Agreement content, terms and conditions, Goods and prices for Goods offered by the Seller in the online store. Ordering the Goods through the online store means full and unconditional acceptance of the public offer to accept the Agreement for the delivery of ordered goods in accordance with the listed terms and conditions. The Buyer accepts and unconditionally agrees to all terms and conditions stated in the Agreement and to all information published on the Website of the www.ipicasso.co.uk online store at the time of the Order checkout. The Buyer must carefully read the text of this Offer and, in case of Buyer’s disagreement with its terms and conditions or with any clause of terms and conditions, the Seller offers to refuse to accept the Offer and do not use of Seller’s services. For the purposes of this Agreement, terms and their definitions are used in accordance with their meaning set by the legislation of United Kingdom and the following terms and their definitions. Address – Goods destination identification data provided by the Buyer, clearly and unambiguously defining the name of the country, place, street, building (house, facility) number and (if applicable) apartment (room, office) number. Accept – the response of a person or an entity, addressed by the Offer, declaring the Offer acceptance. The Accept must be full and unconditional. Agreement – the agreement between the parties, with regard to retail sale and purchase of Goods, concluded by the Offer Accept. Order – duly prepared Buyer’s query sent in accordance with the method and the form specified by the Seller, by way of the Internet, through the www.iPICASSO.co.uk Online store for buying the specific Goods and/or services chosen in the www.iPICASSO.co.uk Online store and for their delivery to the destination in accordance with the Address specified in the query. The Order acceptance for implementation by the Seller is the Offer Accept. www.iPICASSO.co.uk Online store – the Website containing information about the Goods and the Seller and allowing the Goods choice, Order and purchase. The Website also contains the terms of conditions of payment, delivery, warranty and other information important for the Buyer. Offer – the proposal addressing one or several persons or entities that is sufficiently unambiguous and that expresses the intention of the person or the entity making this proposal to consider itself as a party of an agreement with the addressee that will accept this proposal. Buyer – the natural person or legal entity having an intention to place an order for the Goods or to buy the Goods at the www.iPICASSO.co.uk Website and carrying out the activities leading to implementation of these intentions; the person or entity placing orders at the www.iPICASSO.co.uk website; the person or entity placing an order for, buying or using the Goods exclusively for personal, household, family-related, home-related and other needs not related to the implementation of professional and (or) entrepreneurial activity. The person or entity listed at the Goods Receiver also acts as the Buyer. Website – the set of information resources placed in the Internet at the address: www.iPICASSO.co.uk. The Website belongs to the Seller and subject to administering by it. Goods – the object of selling and buying (the thing as the item for personal, family-related, household or home-related usage), not seized from and not restricted in civil circulation, presented for sales in the Online store by publishing in the relevant section of the Online store and appropriate (available) for the Order preparation. The specific quantity of Goods is an essential condition of the Agreement. 1.1. This agreement defines the procedure for implementation of sales of Goods by the Seller through the Online store and is The Seller’s formal public offer addressing an unspecified range of persons and entities. This Agreement is the Agreement of retail sale and purchase by provision of description of Goods in the Seller’s Online store, www.iPICASSO.co.uk, in the Internet global network. This Agreement, concluded as the Offer Accept, does not require bilateral signing and is valid in an electronic form. 1.2. This Agreement is assumed to be concluded from the time when the Seller accepts the placed Order for implementation. 1.3. The Buyer purchases the Goods for personal, household, family-related, home-related and other needs not related to the implementation of professional and (or) entrepreneurial activity. 1.4. When jointly referred to, throughout the text of this agreement, the Buyer and Seller shall be referred to as the Parties, and separately each of them shall be referred to as the Party. 1.5. Each Party guarantees the other Party that it has appropriate rights and sufficient scope of legal capacity as well as all other rights and competences necessary to enter this Agreement and to implement it. 1.6. The Seller reserves the right to make amendments unilaterally in this Agreement and information available in the Online store; in this context, the Buyer undertakes to take possible amendments into consideration at the time of submission of an Order for the Goods to the Seller. Amendments and/or additions made in this Agreement shall enter into force on the day of publishing in the Online store. Amendments and/or additions made in this Agreement as a result of changes in applicable legislation shall enter into force at the same time with relevant amendments in legislative acts. 1.7. Terms and conditions of the Agreement are always available on the Seller’s Online store website: www.iPICASSO.co.uk, Terms and conditions page. 1.8. Terms and conditions of sales (such as payment, delivery, ordering etc.) in this Agreement contain the clauses with live hyperlinks referring to the relevant sections with the detailed information, and these sections are the integral parts of Sales Terms and Conditions and the Agreement. The method of provision of access to some parts of these Terms and Conditions through live hyperlinks is the generally accepted method of information placement in the Internet. 1.9. The relations between the Seller and the Buyer are governed by this Agreement and other normative legal acts of Great Britain governing the relations in the area of retail sale and purchase. 2.1. According to this Agreement, the Seller undertakes to hand over to the Buyer the Goods ordered in the Online store for personal, family-related, home-related or other usage not related to the professional and (or) entrepreneurial activity, and these Goods shall meet their specimen or description. The quality and price of goods shall be in accordance with the information made available for the Buyer in the Seller’s Online store. The Buyer undertakes to make payment and to accept the Goods in accordance with the terms and conditions of this Agreement. 2.2. The Buyer undertakes not to use the Goods ordered in the Online store for professional and (or) entrepreneurial purposes. 3.1 The Seller undertakes to provide the Buyer, in proper time and in an understandable form, with necessary information about the Goods allowing the appropriate choice of the Goods. 3.2. All information materials (graphical, textual etc.) about the Goods made available on the Website are for reference only and cannot provide 100% full presentation of reliable information about the Goods’ properties and characteristics including color, sizes and shapes of the Goods. Goods images in the Online store can slightly differ from their real appearance due to lighting, Buyer’s display settings and other reasons. The purpose of information materials is to provide general understanding of Goods’ properties, purpose and parameters. If the Buyer has some questions arisen with regard to the specific properties, descriptions and characteristics of the Goods, the Buyer should, before the Order checkout, contact the Seller through telephones or e-mail listed in the “Contacts” section and obtain any detailed information of interest. 3.3. The Seller may offer for sales the Goods having the drawbacks specified in the Goods description on the website and in the documentation accompanying the Goods. These Goods are listed in the relevant “Cut-price Goods” section with the important information describing the reasons for price cutting. 4.1. The Buyer carries out the Order checkout procedure through the Seller’s Online store; for this purpose, the Buyer shall enter relevant data into the available Order checkout form (including the registration form) in the Online store. 4.2. When the Order for the Goods is prepared through the Online store, the Buyer shall submit information to the Seller making it possible for the Seller to identify the Buyer and to implement the terms and conditions of this Agreement in good faith and in due time. This information includes the Goods name, its code (grade, model); quantity of Goods; price for Goods and payment terms and conditions; service type, time to provide it and the price if the service is within the scope of the Agreement; Buyer’s surname and name; Goods delivery destination address; contact telephone and e-mail; payment procedure and delivery method. If necessary, or upon the Seller’s request, the Buyer must submit to the Seller any other information necessary to complete the Order checkout and to implement the Order. 4.3. All data specified in the Order by the Buyer are assumed to be valid and given directly by the Buyer. The Buyer shall bear all risks and losses resulting from invalid (untrue) data provided by the Buyer within the scope of preparation of the Order (Clause 4.2), and the Buyer may not cite the data invalidity in case of any disputes with the Buyer. 4.4. Information from the Order received by the Seller may be additionally verified and agreed with the Buyer through the contact telephone number or e-mail in order to verify various information including the specific date and time of delivery of the Goods. If the Order checkout procedure for the Goods has been completed by the Buyer properly and the Seller is capable to implement the order, the Seller shall confirm for the Buyer that the placed Order is accepted for implementation. 4.5. During the Order processing, the Seller reserves the right to refuse to implement the Order if it cannot be implemented due to some reasons. The Buyer may make amendments in the Order until the time when it is dispatched to the Buyer’s address. 4.6. The detailed information about the Order checkout procedure; rules, terms, conditions and specific features of processing, confirmation, modification and cancellation of orders by the Seller; other matters concerning the Order checkout, modification and cancellation by the Buyer (or Seller) are described in the “How to order” section. All information described in this section is the integral part of this Agreement. 4.7. Information submitted by the Buyer is confidential. By placing the Order, the Buyer gives consent and authorizes the Seller to process the Buyer’s personal data including surname, name, birth date, gender, delivery destination address; home, workplace and mobile telephone numbers; e-mail and other data submitted by the Buyer including personal data collection, systematic arrangement, accumulation, storage, detailing (update, modification), usage, distribution (including transmission to the territory of United Kingdom and Poland and transboundary transmission), depersonalization, locking, destruction and submission to the Seller’s contractors for researches carried out in order to improve the quality of services, for marketing programs (events), statistical studies and for promotion of services to the markets by way of implementation of direct contacts with the buyer through various communication means including but not limited to postal mailing, e-mail, telephone, fax, Internet. The Buyer gives consent and authorizes the Seller and the Seller’s contractors to use automated data management systems and other software tools for processing of Buyer’s personal data and to process these data for the purposes of Goods and services promotion by the Seller. By leaving personal data, the Buyer automatically confirms the consent to receive e-mails and SMS messages containing information about new items, events, special offers etc. The Buyer may refuse to receive these e-mails and SMS messages; to do it, the Buyer must inform the Seller by telephone or e-mail or through the Buyer’s Personal Account. The Buyer cannot refuse to receive e-mails and SMS messages providing information about the current state and stage of the Order placed by the Buyer. These notifications from the Seller are technical and they are the integral part of contacts between the Seller and the Buyer. The Buyer accepts that if it is necessary for implementation of purposes listed in this Agreement the Buyer’s personal data received by the Seller may be transferred to third parties that may be charged by the Seller with the task of processing of Buyer’s personal data by virtue of the Agreement concluded with these third parties subject to the observance of personal data confidentiality and safety during their processing by these third parties. When the aforementioned Buyer’s data are submitted by the Seller to third parties, the Seller shall inform the parties receiving the Buyer’s personal data that these data are confidential and may be used only for purposes for which they are submitted, and instructs these persons to observe this rule. The Buyer may ask the Seller for full information about its personal data, their processing and usage, and may ask to remove or correct/amend any incorrect or incomplete personal data by sending an appropriate written request to the Seller’s e-mail. 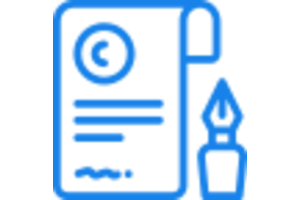 The buyer’s data submitted in accordance with the conditions of this Agreement and the Buyer’s consent to the personal data processing are not limited in time. 4.8. Disclosure of information in accordance with the reasonable and applicable requirements of the legislation of the United Kingdom and the Republic of Poland, including such disclosure upon the request of competent and authorized governmental agencies and institutions, shall not be considered as the breach of obligations. 4.9. Provision of information by the Seller to the agents and third parties acting by virtue of an agreement with the Seller for implementations of obligations towards the Buyer (e.g. to the courier service for the Order delivery to the Buyer) shall not be considered as the breach. 4.10. The Seller shall not be responsible for information submitted by the Buyer in the Online store in a publicly accessible form and for publicly accessible information about the Buyer. 4.11. The Seller may record telephone conversations with the Buyer without any additional negotiation with the Buyer, subject to previous Buyer notification. 5.1. Methods, prices, conditions and terms of Goods dispatch (shipment) are listed on the website and described in details in the “Delivery and costs” section. The Goods acceptance procedure and the operations to be done by the Buyer at the time of acceptance are described in the same section. All information described in the “Delivery and costs” section is the integral part of this Agreement. The method chosen by the Buyer during the Order checkout procedure from available delivery methods shall be considered as the negotiated delivery method. 5.2. When the Order for Goods is placed by the Buyer in accordance with the delivery terms and conditions, the Seller will take all efforts to comply with the time periods of Goods shipment and delivery listed on the Website at pages for each type of Goods; however, the causes cannot be ruled out that can arise and affect the delivery periods as unforeseen events and circumstances not resulting from the Seller’s guilt and being beyond the Seller’s control. 5.3. The total period for the Order receipt by the Buyer consists of the periods of shipment and periods of delivery. 5.4. If the goods with different shipment periods are listed in the Buyer’s Order, the general time of shipment of the whole Order shall be defined in accordance with the time of shipment of goods with the longest shipment period. 5.5. The Seller understands the periods of delivery as the time from the goods handing over to the courier (i.e. shipment) to the goods receipt by the Buyer (i.e. delivery). The Seller may unilaterally extend or reduce the negotiated shipment and delivery period, subject to previous Buyer notification. 5.6. The Goods are delivered towards the Buyer to the Address specified in the Buyer’s Order and approved by the Seller in the confirmation of the Order acceptance for implementation. 5.7. The Goods, when delivered, are handed over to the Buyer or person specified by the Buyer as the Order Receiver. If the aforementioned persons cannot receive the Goods, the Goods listed in the Order shall be returned to the Seller and the Order shall be cancelled. 5.8. The Buyer shall be responsible for handing over the Goods to any of persons listed by the Buyer in the Order. The Seller and the courier service (the courier) delivering the Order upon the Seller’s request a) have no obligation to ascertain that the persons receiving the Goods are appropriately authorized if they are listed in the Order as the Receivers; b) bear no responsibility for handing over the Goods to the person listed as the Receiver if the Buyer’s or Receiver’s details listed in the Order are sufficient to identify the Buyer or the Receiver as an appropriate person. The Buyer is fully responsible for validity of information submitted by it. the warranty card if provided by the manufacturer and if the warranty period is specified for the Goods. 5.10. At the time of Goods delivery and acceptance, the Buyer, with the courier attending the procedure, must carefully check the Goods in terms of quantity, appearance, scope of delivery and compliance with the Order. The time used to accept all goods within the order must not be unreasonably long. 5.11. The ownership for the Goods and the risk of accidental loss or damage of the Goods are transferred from the Seller to the Buyer at the time of real transfer of Goods or at the time when the Buyer personally signs the documents confirming the delivery of Goods, whatever is earlier. Goods receipt by the Buyer (Receiver) and expressing no claims with regard to the goods at the time of receipt, with the courier attending the procedure, means that the goods are accepted in terms of quantity, scope of delivery and integrity, and the Seller has fulfilled relevant obligations completely. 5.12. Upon the Goods receipt by the Buyer, the Seller will not accept any claims with regard to the marketable condition, scope of delivery, quantity and appearance if the Buyer has no rejection report prepared at the time of goods acceptance and signed by the courier. Claims in terms of quality with the backgrounds stated by an authorized service center or by the Buyer through own efforts shall be considered in accordance with the procedure stipulated by the legislation. 6.1. The price of Goods is listed in the catalogue and on the individual web page for each type of Goods available in the Online store. The price of Goods is specified as the gross price and it includes VAT. The price of Goods does not include the cost of delivery. The price for Goods in the Seller’s Online store can be modified by the Seller unilaterally. The price of Goods and the discounts set by the Seller are valid at the time of confirmation of the Order for the Goods. The price for the Goods to be replaced is valid at the time of preparation of the kit for the Order at the Seller’s warehouse. However, the price for the Goods for which the Order has been checked out and the amount of discounts shall not be changed except for the cases described in Clause 6.2. 6.2. The Seller may refuse to confirm or cancel the Order and inform the Buyer about this decision, or refuse to pay and/or to sell the Goods at the specified price if it was the result of unforeseen and (or) unintentional technical error resulting from human factor or incorrect operation of software at the Seller’s side and (or) third-party services supporting the software operation, or wrongful activities of third parties. If the price of goods ordered by the Buyer was specified incorrectly, the Seller, after the error revealing, shall inform the Buyer about it in order to confirm the order with the corrected price; or to cancel it; or to refund the money; or to resettle (as applicable for the situation). 6.3. The Buyer shall pay for Goods in Pound Sterling in accordance with forms, methods, terms and conditions listed by the Seller in the “Payments” section on the Online store Website. All information described in this section is the integral part of this Agreement. The method chosen by the Buyer during the Order checkout procedure from available payment methods shall be considered as the negotiated payment method. 6.4. The Seller does not take money for choosing a payment method but any possible commissions for money transfer shall be paid by the Buyer. 6.5. Payment for Goods and services is made in cash or cashless form in accordance with the established procedure. 6.6. Settlement currency: Pound Sterling. 6.7. For the Buyer, the Seller may allow the discounts for Goods, set the programs of bonuses, run campaigns. The types of discounts and campaigns, procedures and conditions for campaigns and for provision and application of bonuses are specified on the Seller’s Online store Website and may be modified by the Seller unilaterally. 7.1. The Buyer may refuse to receive Goods in any time before payment and delivery and, after the delivery and real receipt of Goods, during 14 (fourteen) days from the time of delivery. The Goods of proper quality may be returned if the marketable condition and useful properties of Goods are preserved and the document confirming the fact and conditions of purchase of these Goods are submitted to the Seller. The Goods of proper quality that already were in use cannot be returned. 7.2. The Goods of proper quality shall be returned or exchanged for the Goods with similar characteristics in accordance with applicable legislation of the United Kingdom. The exchange of goods shall be carried out in accordance with the principle and procedure of return, followed by the new order checkout. termination of the Retail Sale and Purchase Agreement and refunding of money paid for Goods. 7.4. The Seller will not accept the parcels if postage is not prepaid by the Buyer. The Buyer shall arrange the parcel delivery at own expenses and through own efforts. If the claim is recognized as reasonable the Seller shall compensate the postage expenses for the Buyer. 7.5. Money shall be refunded by the Seller in the same form as the payment for Goods was made, within the time set by the legislation. If payment for Goods was made in cash, money shall be refunded to the Buyer’s settlement account. 7.6. The detailed information about returns, exchanges and claims, methods and conditions for their implementation is given by the Seller in the “Returns and Refunds” section on the Online store Website. All information described in this section is the integral part of this Agreement. 8.1 Parties shall be liable for improper fulfillment of their obligations under this Agreement in accordance with the procedure established by the applicable legislation of the United Kingdom. 8.2. The Seller shall not be liable for damage inflicted to the Buyer and (or) to third parties as a result of improper use, by the Buyer, of Goods purchased in the Seller’s Online store. 8.3. The Seller shall not be liable for content and operation of External websites in the Internet. 8.4. The Seller shall not be liable for consequences resulting from the Buyer’s or third parties’ activities if the Goods purchased from the Seller are used for entrepreneurial or professional purposes. wrongful activities of third parties. 8.6. The Buyer shall be fully liable for adequacy of identification data specified by it during the Goods ordering in the Online store. 8.7. The Buyer undertakes to check out the Order, to pay for Goods listed in the Order and to receive it in accordance with the conditions, method and time periods described in details in relevant sections of this Agreement and in the “How to order” section on the Online store Website. 8.8. The Parties shall be released from liability for failure to fulfill their obligations fully or partially if this failure has resulted from force majeure circumstances that arose after entering this Agreement into force and/or as a result of emergency events that could not be foreseen and prevented by reasonable activities. 8.9. In other cases not specified in Clause 8.8 of this Agreement the parties shall be liable for failure to fulfill or improper fulfillment of their obligations in accordance with applicable legislation of the United Kingdom. 8.10. The Seller shall be liable for drawbacks found in the Goods within the warranty periods. 8.11. The requirements declared by Buyers after the expiration of warranty periods shall be considered by the Buyer in accordance with the procedure established by the legislation. 8.12. The warranty period, if it is set for the Goods, shall be specified in the warranty card and shall start from the time when the Goods are transferred to the Buyer. 8.13. For all Goods with no warranty periods set by manufacturers, the Seller set the warranty period for 14 (fourteen) days starting from the time when the Goods are transferred to the Buyer. 8.14. Warranty terms and conditions for the goods, the general warranty condition, Seller’s warranty undertakings, restrictions for warranty and reasons for warranty refusal are described in details in the warranty card provided with each Goods with the warranty period specified. 8.15. All disputes with regard to this Agreement are settled by negotiations. If the Buyer or Receiver has any questions or claims, he/she should contact the Seller through the telephone or e-mail listed in the “Contacts” section of the Online store Website. 8.16. Extrajudicial (complaint-based) dispute settlement procedure is mandatory. If the parties fail to reach consent, the dispute shall be settled in a court in accordance with applicable legislation of the United Kingdom. the period for Parties’ obligations fulfillment shall be reasonably extended in accordance with the length of period when these circumstances exist. 9.2. The Party facing force majeure must inform another party within 24 (twenty four) hours after arising the force majeure circumstances preventing the Party from fulfillment of obligations under the Agreement. 10.1. The Agreement is assumed to be implemented by the Seller upon the time of delivery of the Goods to the destination specified in the Buyer’s Order. 10.2. The Buyer demonstrates consent to the conclusion of this Agreement by placing the Order for the Goods and the confirmation of the Order acceptance for implementation by the Seller. 10.3. When the Goods are purchased in the Online store, all rights guaranteed by the British consumer protection law remain in force for the Buyer. 10.4. The Seller may transfer its rights and obligations with regard to the implementation of the Agreement to third parties, without the Buyer’s consent. 10.5. The Seller may revoke the Offer and (or) unilaterally refuse to implement the Agreement in any time; however, this does not mean that the Seller may refuse to fulfill its obligations under the Orders already confirmed and accepted for implementation by the Seller. The Seller undertakes to publish the notification informing about the Offer revocation and (or) unilateral refusal from the Agreement implementation by the Seller in its Online store, including the precise time of revocation and (or) refusal, but not later than 24 (twenty four) hours before the event of the Offer revocation and (or) refusal from the Agreement. 10.6. The Buyer, before the Goods submission to it, may refuse to implement the Agreement; however, the Buyer must compensate the Seller’s expenses for activities carried out to implement the Agreement. The amount of compensation is calculated by the Seller unilaterally. 10.7. If any provision of this Agreement is declared invalid by the court, it does not result in invalidation of other provisions. 11.1. All information available on the Seller’s Website including texts, graphical images, advertising materials, logos, trademarks, is in the ownership of the Seller and (or) other copyright holders and may not be used by third parties without the written consent of the Seller and (or) other copyright holders. 12.1. The Parties unconditionally recognize the fact that the information submitted by the Buyer for the Order checkout in the iPICASSO.co.uk Online store shall be considered as the Buyer’s identification details. The Buyer accepts the fact that the details submitted by it will be used by the Seller for formal relations with it, and the Buyer is responsible for validity of the information submitted.